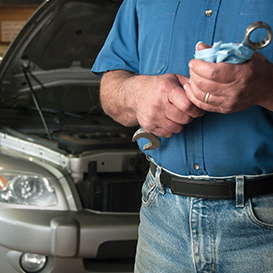 There's no need to drape the fenders when working on a vehicle when wearing our hidden prong mechanics belt. Handmade in America since 2000, and features a limited lifetime warranty. Available in black and brown, and in two styles. 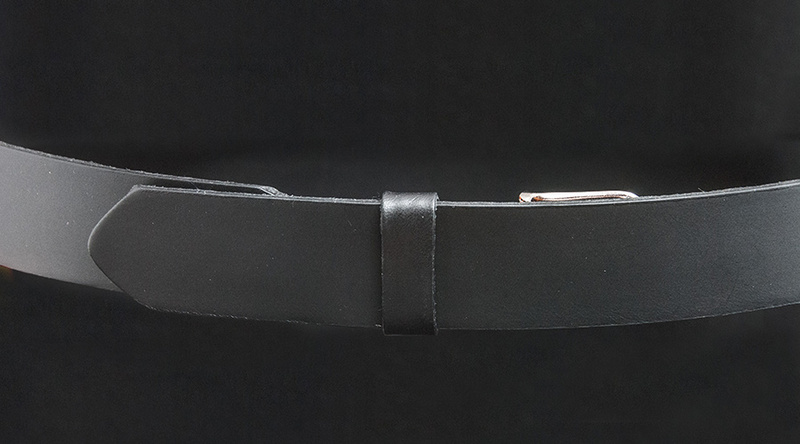 Work with confidence when wearing our hidden buckle mechanics belt. It won't scratch paint, and there's no buckle to get caught on the fenders. Hand crafted in the USA, made of genuine leather, and comes with a solid warranty. Comes in 2 colors, and currently in stock. Give you Mechanics Belt a truly custom look by adding your logo. This makes a bold statement, and it's great for branding your business. Just send us your logo and we'll take care of the rest. A unique, and affordable option; makes a great gift too. The Best No Scratch Belt on the Market! The buckle-less belt designed for mechanics that won't snag fenders or scratch up vehicles. Hand crafted in America, with a limited lifetime warranty. Mechanics - It doesn't scratch the fenders of cars while you're working on them. Musicians - It doesn't scratch the back of your guitar or banjo. Men with large bellies - The belt doesn't have a protruding buckle, so there's no pinch. People with metal allergies - The buckle plate is covered, so no metal touches your skin. Electricians - The all-leather surface is non-conductive. Police, Fire & EMS - It makes a great uniform belt or under your equipment belt. 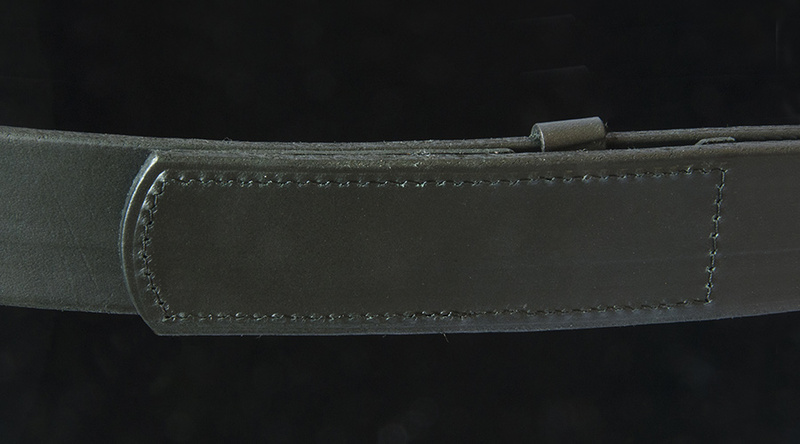 Since 2000, all Mechanics Belts have handmade with pride in Bryson City, North Carolina. Yes it's right, free shipping on orders over $50. Applies to US orders only.